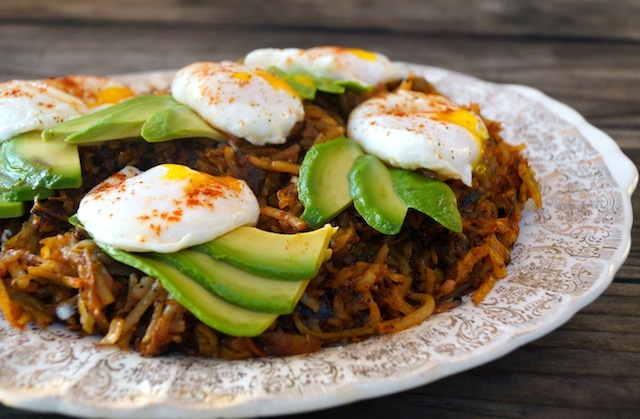 This is an absolutely ideal, comforting brunch dish that’s full of rich and intense flavors and all kinds of contrasting textures. I can’t express enough to you how incredibly delicious this is. I urge you to make it for friends and family, as it will surely be a meal they’ll never forget. 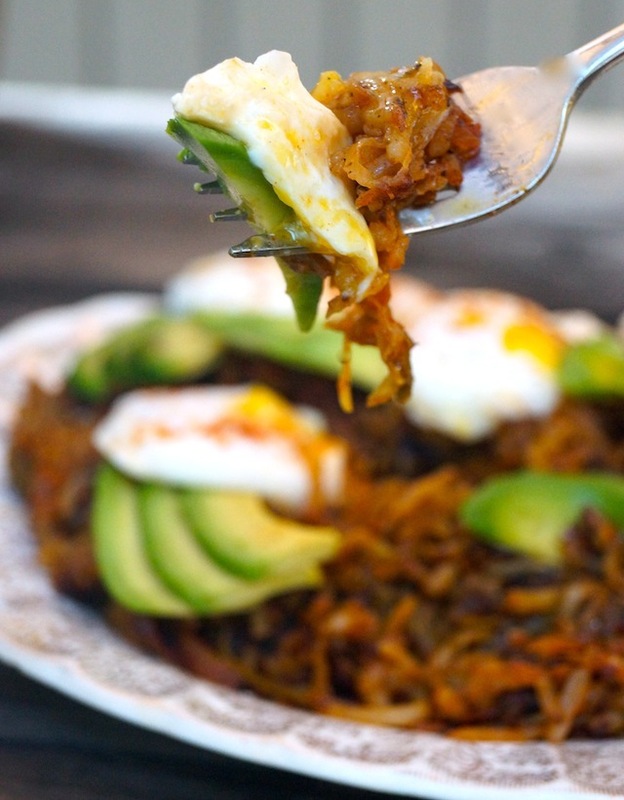 Every bite has both soft and crispy potatoes, oozing egg yolk, soft whites and creamy avocados — and it’s all laced with the the wonderful smoky, earthy, subtly sweet and mildly spicy flavor of Hatch Chiles. If there was ever a perfect bite . . . I LOVE roasting chiles — so much so that I created a tutorial for you on How to Roast and Peel a Pepper. It’s here. However, if you’re not as enthusiastic as I am, you can get roasted Hatch Chiles in dozens of locations. Find them all here. This entry was posted in Recipes and tagged breakfast, brunch, entree, Gluten-free, Hatch Chile Season 2015, idaho russet potatoes, poahed eggs. Bookmark the permalink.